The Sports Massage Team is the culmination of over 25 years of involvement in the sports massage field for our owner, Peter Crawford. 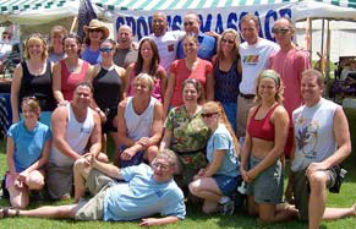 2017 will mark the 29th summer of participating in and organizing sports massage team events. We offer our services to events large and small. From one therapist to twenty five therapists, The Sports Massage Team can provide top shelf, professional service for your event.